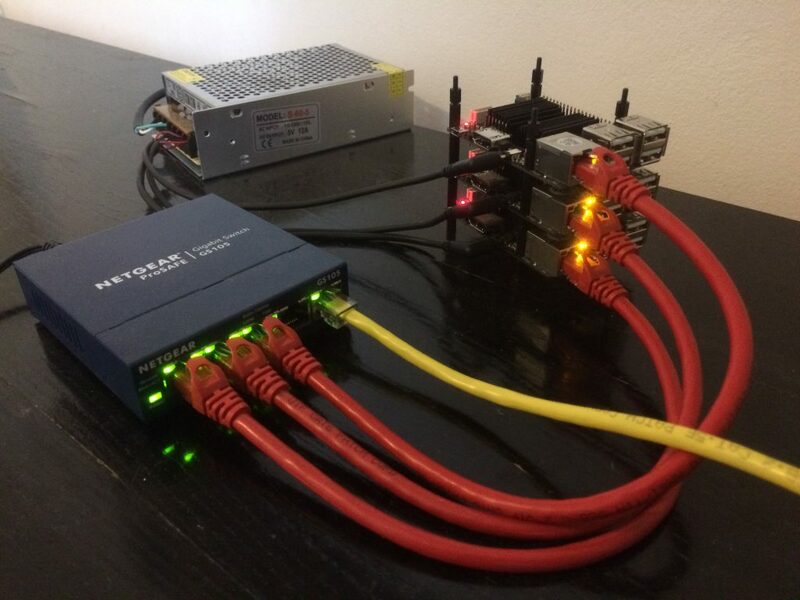 Figure 1: odroid-c2 cluster with power supply and 5 port Gigabit Ethernet switch. The Clowder cluster is currently composed by 3 Odroid-C2 single board computers (SBC), a 5 port Gigabit Ethernet switch (Netgear GS105) and a 5V 12A power supply (see Figure 1). The Odroid-C2 is a SBC equipped with a Amlogic ARM Cortex-A53(ARMv8) 1.5Ghz quad core CPU, 2 Gbyte DDR3 SDRAM, and Gigabit Ethernet. The Odroid-C2 are all equipped with 16GB eMMC for storage. The headnode functions as the Network File System (NFS) server. An important micro metric for cluster performance is end-to-end latency, i.e. how much time it takes for data to be sent from one node to another node. To measure latency I used NetPIPE. The latency measured either through the TCP protocol or MPI is of the order of 500μs up to messages of 8kbytes (see Figure 2). 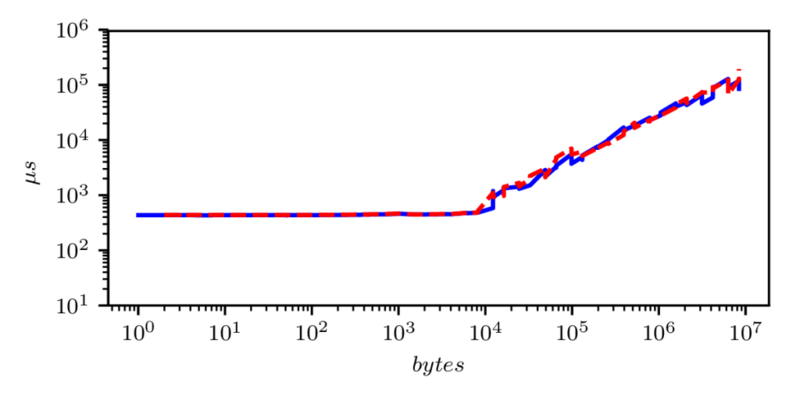 Figure 1: End-to-end network latency vs message size measured with netpipe TCP (blue solid line) and netpipe MPI (red dashed line). The compressible flow solver (Navier-Stokes) has been benchmarked using the 2D regression test `CylinderSubsonic_NS_WeakDG_LDG_SEM_VariableMu.xml’. The solver has been run with the following node, core-per-node combinations (1 1), (1 2), (1 3), (1 4), (2 1), (2 2), (2 3), (2 4), (3 1), (3 2), (3 3), and (3 4). This case has 640 quadrilateral elements and it has been run with 3 and 6 modes for a total of 5760 and 23040 degrees of freedom respectively. 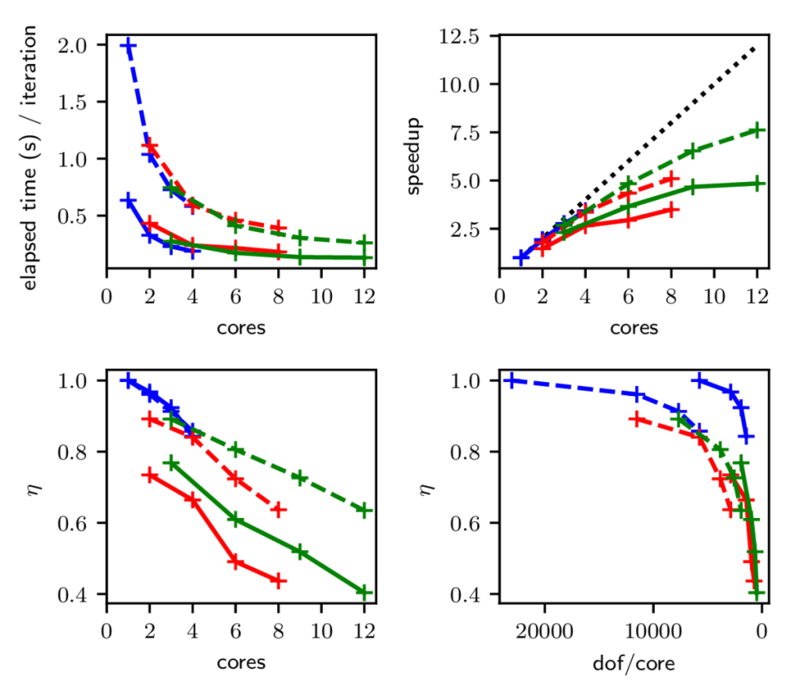 Figure 3: Various metrics for the CompressibleFlowSolver. Blue line: single node; red line: 2 nodes; green line: 3 nodes. Solid line: 5760 dof; dashed line: 23040 dof.